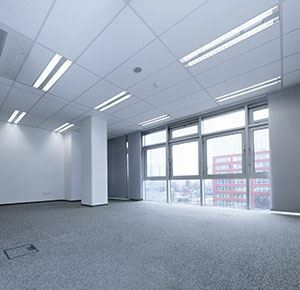 After the office relocation is completed, the tenant most likely has the contractual obligation to return the office/building space to a condition outlined in their lease agreement. Decommissioning the facility for turnover to the landlord/owner can involve a multitude of services. Meeting with Property Management to verify required condition and hours of performance. Removal and liquidation/recycling of remaining furniture, fixtures and equipment to include modular systems furniture and complex filing systems. Removal and disposal of communication and network cabling – complete removal from ceiling and floor channels; or cut cables at wall outlets and roll up in ceiling space. Environmental issues and hazardous materials – asbestos, lead paints, soil contamination, chemicals and flammables to be handled by a licensed and qualified company at the direction of the commercial relocation company. Perform a final walkthrough of facility with property management for compliance sign off and presentation to client. Liquidation and Recycling services be “Green” and targeted for re-use rather than landfill disposal. Select a commercial relocation company with the expertise and resources to provide “turn key” decommissioning services.